What homeowner can’t use a little more space? Adding insulation to your garage door is a great way to create additional living area. Garage door insulation not only helps regulate the temperature in your garage, it can also decrease the strain on your HVAC system. Once it’s insulated, you can easily transform your garage into a fully functional bedroom, game room, man cave, music room, extra living area or home office. The possibilities are limitless. Just be mindful that any permanent changes you make can ultimately cost you at closing, so it may be best to make most of your changes reversible so you can revert your space back into it’s original purpose when you’re ready to sell. The insulation can stay, because buyers will appreciate the increased energy efficiency. With affordable, lock-together cushion flooring, a decent weight set and a couple pieces of exercise equipment, you can cancel your gym membership and work out at home. The garage gives you plenty to create a comfortable workout area. You can customize it to your needs and can even set up separate stations for cardio, weights, yoga and so on. It’s also easy to add wall paint or other color accents to make your workout space more fun. 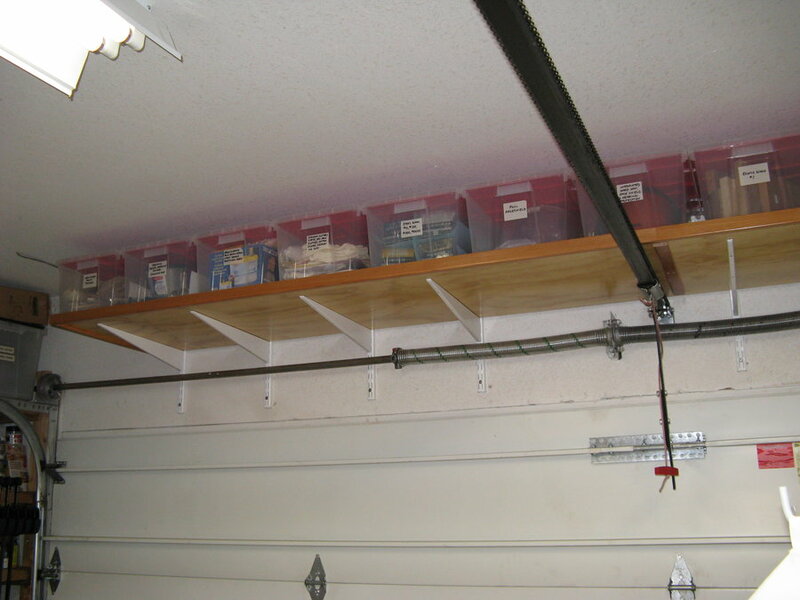 All homeowners love efficient storage solutions, and a garage storage loft offers a great way to stash boxes, holiday decor and more. As seen above, lofts come in all shapes and sizes, so you can pick whatever configuration works best to meet your storage needs. Building a loft is quite simple and it will only take you a few hours. Check out these instructions from the DIY Network. If you’re not so confident in your building ability, learn how to find a qualified contractor to help you out. One of the hottest garage flooring trends right now is making use of colored epoxy and resin floor coatings. They’re inexpensive and you don’t have to be an expert to install them. Tile is also very popular, and it allows homeowners to add a personal “flair” to their flooring by alternating tile colors and creating interesting patterns. Adhesive tiles and rollout vinyl are also frequently used in garage flooring makeovers. Use these ideas and get inspired to transform your garage from a parking space into a unique, functional home asset.